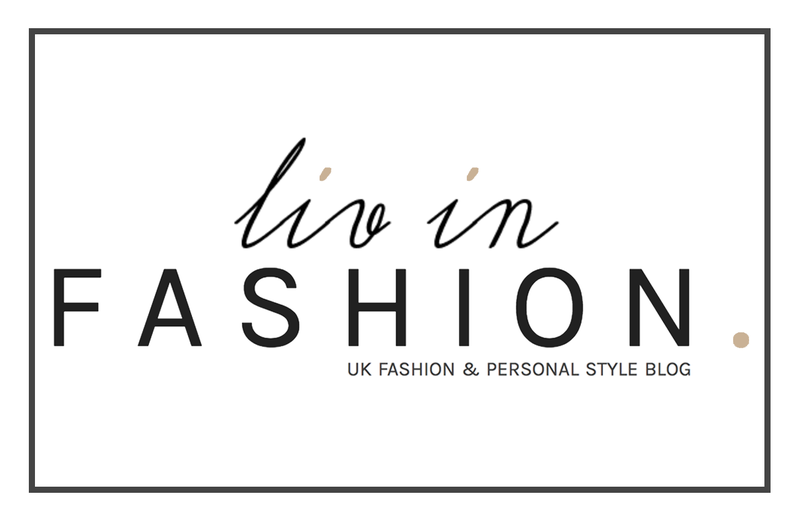 Designer Inspired (non) Dupes | liv in fashion. 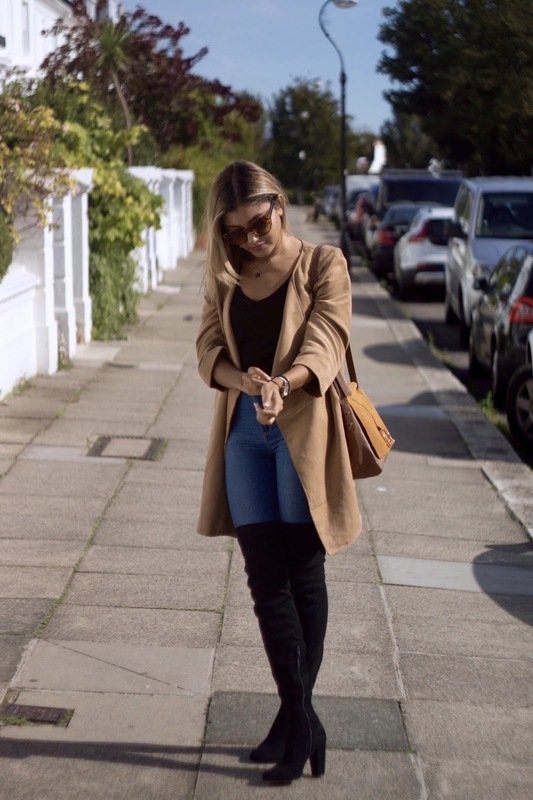 T-shirt, jeans, over the knee boots...check! It doesn't really get much simpler than this. I mean, I can't say I'm one to dress 'non-simply' on the regular but for me, this really was stripping it back to basics and making use of those oh-so-reliable wardrobe staples. If you're going to go simple, the key is in the details, and choosing the appropriate, accompanying accessories. Good news (for you - not for me who dedicated an entire chunk of her life to finding them) is that they're back in stock in ALL sizes. Go go GO! I can assure you they won't stick around for long. And I can assure you further you will not want to end up like me...that's when the realisation hits that you need to improve your social life :) :). They are the closest, high street equivalents I've found which don't fall down into a complete mess around my skinny calves, so for £60, I couldn't be happier. 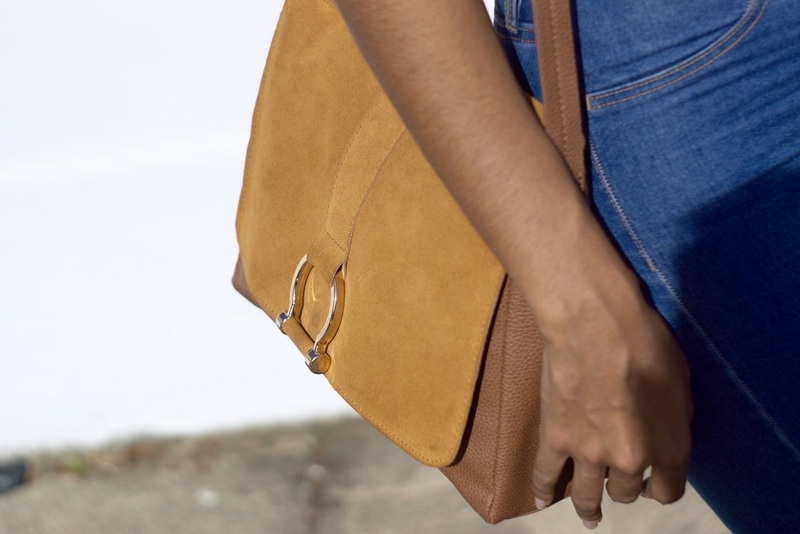 I don't need a lot of words to describe the bag other than these: Real suede. Under £30. Chloe Faye (without being a wannabe). Oh, and it's like a tardis. 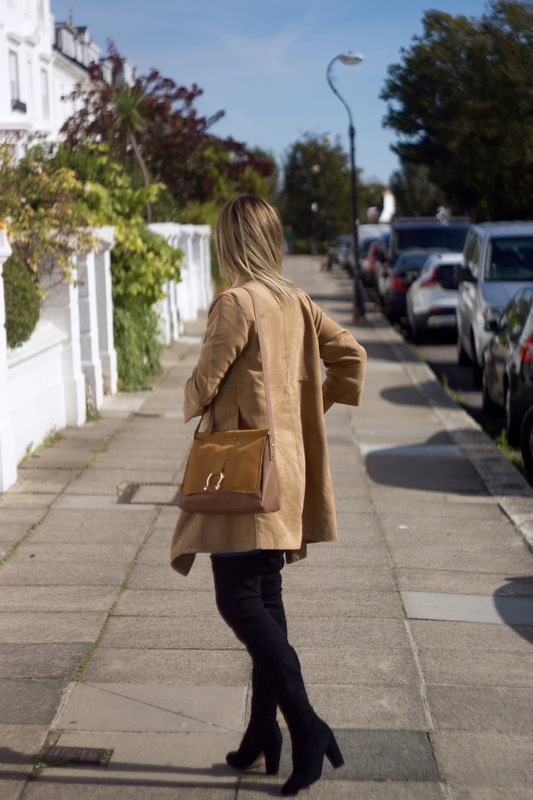 Seriously, you know those bags which look unashamedly tiny but can fit half of your life + your dog + boyfriend in? Say no more!